Balut is a boiled fertilized duck or chicken egg that is eaten as a traditional delicacy in the Philippines. While Balut can sometimes be found in other countries such as Vietnam, China or even the United States (mainly California or Hawaii), fertilized eggs are seen as absolute nutritional taboos in European cuisines. Balut (Tagalog and Malay word for “wrapped”) have a reputation as an aphrodisiac and are said to be potency-enhancing, which is not scientifically proven, however. The eggs can commonly be found as street food in the Philippines where specialized vendors (“magbabalut”) sell the eggs out of thermally isolated bags together with a portion of salt. The fertilized eggs are also available in many restaurants as a snack, often fried and served with a vinegar-chili dip, cooked in vinegar and garlic as “adobado” or baked in batter. In the Philippines, domestic ducks are often specifically kept for the production of Balut. Special baskets keep the eggs warm for about two weeks. On the 9th day, a screening recognizes eggs without chicks inside and sorts them out. Balut is generally sold from about the 14th day of incubation since the embryo is barely perceptible before that. 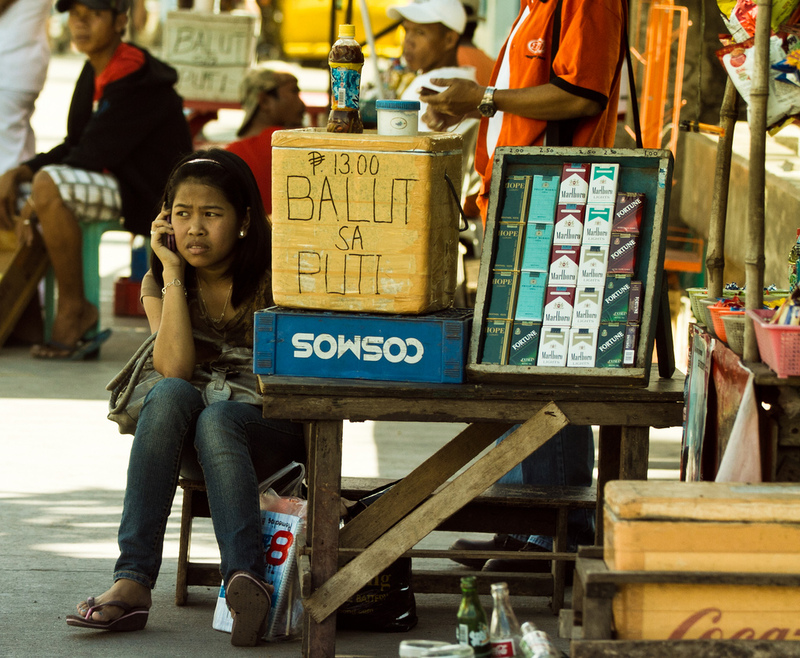 Among Filipinos, however, 17-day-old eggs (called “balut sa puti”) are considered ideal. Vietnamese cuisine prefers 19-day-old eggs with a clearly visible body. The fertilized eggs are boiled for 20 to 30 minutes. First, only a little piece of the shell is removed from the still warm egg. Some salt is sprinkled onto the opening before the liquid is slurped out of the shell. After this, the whole egg is peeled and seasoned with salt, vinegar or soy sauce. The beak and feathers of the ducklings are clearly visible and are eaten as a whole together with the rest of the egg. The taste of the unseasoned brownish-black meat is a combination of salty and spicy. The beak and feather components are slightly more firm to the bite. If water has entered the eggs during the boiling process, they are called “abnoy” and are eaten as a special scrambled egg dish instead. You love discovering extraordinary delicacies like Balut? Then check out our collection of the most curious foods from around the world! Find more food and drinks from the Philippines here.